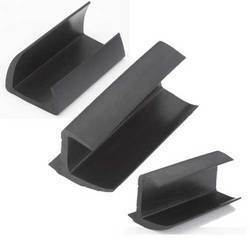 Pioneers in the industry, we offer container rubber profile from India. We offer all kinds of Container Rubber Profile. The ones that maintain an airtight environment in huge shipping containers to preserve the contents during long journeys. The seals effectively prevent air, moisture and dust from entering the containers after closed shut.